Never write your personal identification number (PIN) on a credit/debit card or on a slip of paper kept in your wallet. When entering your PIN at an ATM or pay phone, use your free hand to shield the keypad to prevent “shoulder surfers” from obtaining your PIN. Get in the habit of keeping receipts for all purchases made with your credit or debit card. Ask for incorrect charge slips as well. Promptly compare these receipts with billing and account statements each month. If you notice unauthorized or incorrect transactions, contact your bank or credit company right away to report fraudulent activity on your account. If your bank or credit provider refuses to remove the charges, contact a Leesburg fraud attorney to seek restitution. Be extra cautious when shopping online, especially if you are using a public computer or purchasing from an unfamiliar website. Also be on the lookout for phishing emails and websites, which attempt to solicit personal information that can be used to steal your identity. Check your credit report once per year and look for any errors or unauthorized purchases made in the past 12 months. If you suspect someone has gotten access to your account information, check your credit report more frequently. You may need to hire a consumer protection law firm to oversee your credit report dispute and restore your credit score following identity theft. The state of Virginia offers a downloadable guide called “How to Avoid Identity Theft.”. At Blankingship & Christiano, P.C., we have skilled identity theft attorneys ready to combat identity theft fraud in Alexandria and provide the legal help you need. While you can dispute a fraudulent charge yourself, you would be well advised to retain a skilled identity theft lawyer that can assist you with identity theft in Fairfax to ensure corrections are made in a timely manner to your credit file. Our attorneys are knowledgeable about identity theft laws, and do not hesitate to take aggressive legal action such as litigation when required. 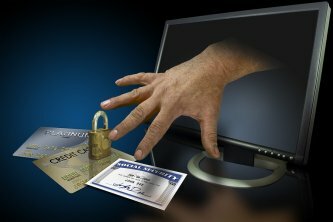 We can advise you of your rights and options under federal and state identity theft law in Reston and Fairfax identity theft. If you are looking for a qualified Alexandria identity theft law firm, please contact Blankingship & Christiano, P.C. at (571) 313-0412 or online to discuss your case.